The other day I drove the extra miles to go to the posh mall. Everything about it is upscale from the planting and landscaping, to the lack of a food court, to the top tier department stores. These of course are sinfully expensive but they've got the good stuff so it's fun to browse them and dream. All in one day I went to Nordstrom's, Neiman Marcus, and Bloomingdales. Not to buy mind you, but just to take a peak. I thought I'd share with you some of my highlights. I used to love Neiman's for it's exclusivity. At one time they were the only ones who carried Bobbi Brown, Jo Malone and CREED. Now you can easily enough find those elsewhere but it's still worth a trip to the local store for nostalgic reasons. Or maybe I'm being too harsh. They are after all one of the few places that carries Chantacaille the exquisite French/American makeup line. 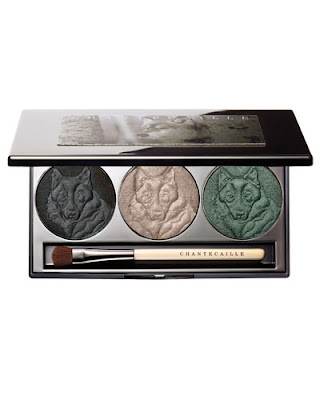 One of the reasons to love Chantacaille is the seasonal editions of eye shadow pallets whose proceeds go to help saving endangered wildlife. And they always look adorable. Right now it's the wolves, and the Chantacaille Limited Edition Protect The Wolves Eye Shade Trio is truly crave-worthy. Just look at those little faces! Another Neiman's treat is smelling all the Molton Brown shower gels. This British line puts out candles and room scents as well but the shower gels are particularly alluring. One time I splurged on the Coco & Sandalwood and loved it. 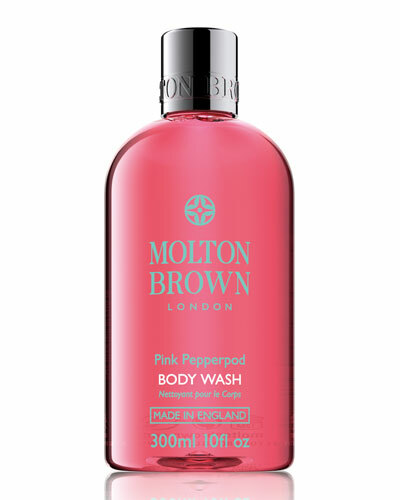 The other day my fave was the Molton Brown Pinkpepperpod Body Wash. They come in all kinds of cool scents: Silver Birch, Blossoming Honeysuckle & White Tea, Japanese Orange, and Suma Ginseng to name a few. On to Bloomies..... who is really giving the other classy giants a run for their money. It is more modern and has a bigger selection of goodies than either Nordstrom or Neimans. The store I went to even had a section of the cool British apothecary SpaceNK there - a mini store within a store. They also carry the perfume line Bond No9. Bond was created after 9/11 to commemorate the greatness of the city. 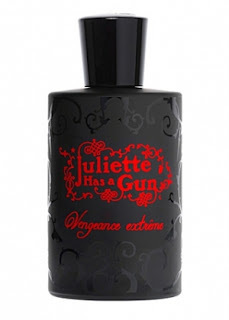 Mostly unisex, each one of their perfumes commemorates a different neighborhood in the city. I have always loved the packaging and actually own Bleecker Street and Astor Place. 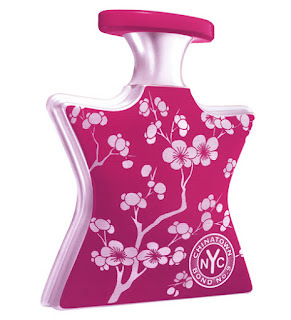 The other day I was more interested in Bond No9 Chinatown, because I am starting to really love white florals. I was lucky enough to get a pre-made sample off the sales assistant! Another awesome New York line they carry is Malin+Goetz Apothecary. Uber cool bared-boned packaging, refined natural ingredients, and unique smells are what they are all about. 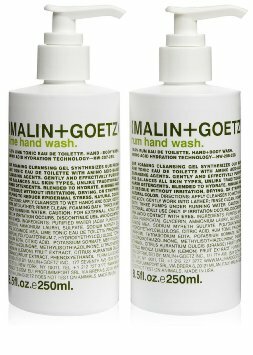 I had my eye on the Malin+Goetz Apothecary Rum + Lime Handwash Set but of course couldn't justify that kind of price just to wash my hands. And lastly Nordstrom. Nordstrom where I negated the whole window shopping thing by buying Charlotte Tilbury K.I.S.S.I.N.G. Lipstick in Stoned Rose. In my defense I had a $20 gift voucher which brought the outrageous $32 price tag down to a more palatable $12. And it was worth it. 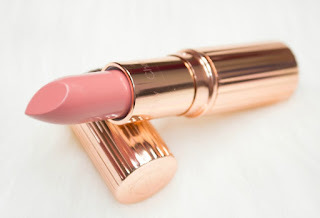 There is nothing not to love about the Charlotte Tilbury cosmetics. The beauty blogging world is all agog over them. Excellent quality, user-friendly formulas, and sensational colors are some of the reasons why. WHAT I WANT TO TRY: everything!!! And that was my trip! What is your favorite place to window shop?